Getty Center, 1200 Getty Center Drive, Brentwood, Los Angeles. 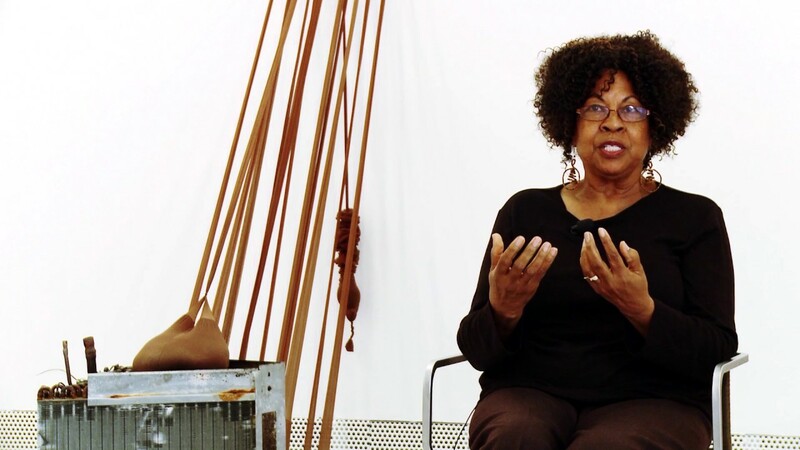 See “Making Doors: Linda Goode Bryant in conversation with Senga Nengudi,” Ursula 1 (Winter 2018). Top: David Lamelas, Office of Information about the Vietnam War at Three Levels: The Visual Image, Text and Audio, 1968. Image credit: MoMA. Below: Lourdes Grobet, Horas y media, 1975. © Lourdes Grobet. This entry was posted in ART, CONVERSATION, EDUCATION/ACTIVISM and tagged ADRIAN PIPER, David Lamelas, Felipe Ehrenberg, Getty Center, Kellie Jones, Linda Goode Bryant, Lourdes Grobet, Senga Nengudi, Ursula magazine on December 2nd, 2018 by Barlo Perry. Join the California African American Museum (CAAM) and Art + Practice in welcoming Kellie Jones for a discussion and signing of her book. AUTHOR TALK AND BOOK SIGNING, Monday, October 23, from 7 pm to 9 pm. ART + PRACTICE, Public Programs Space, 4334 Degnan Boulevard, Leimert Park, Los Angeles. Image credit: Duke University Press. This entry was posted in ART, BOOKS/PERIODICALS, CONVERSATION, EDUCATION/ACTIVISM and tagged Art + Practice, Betye Saar, California African American Museum CAAM, Charles White, Duke University Press, Kellie Jones, NOAH PURIFOY, Senga Nengudi, South of Pico (Jones) on October 22nd, 2017 by Barlo Perry.